The Hunter Neoprene Vario Plus Dog Collar is soft neoprene lined collar with a durable nylon webbing outer that's great if your dog loves getting wet. The lightweight, sturdy plastic buckle is located so that it does not affect adjustment, allowing you to achieve the correct fit. 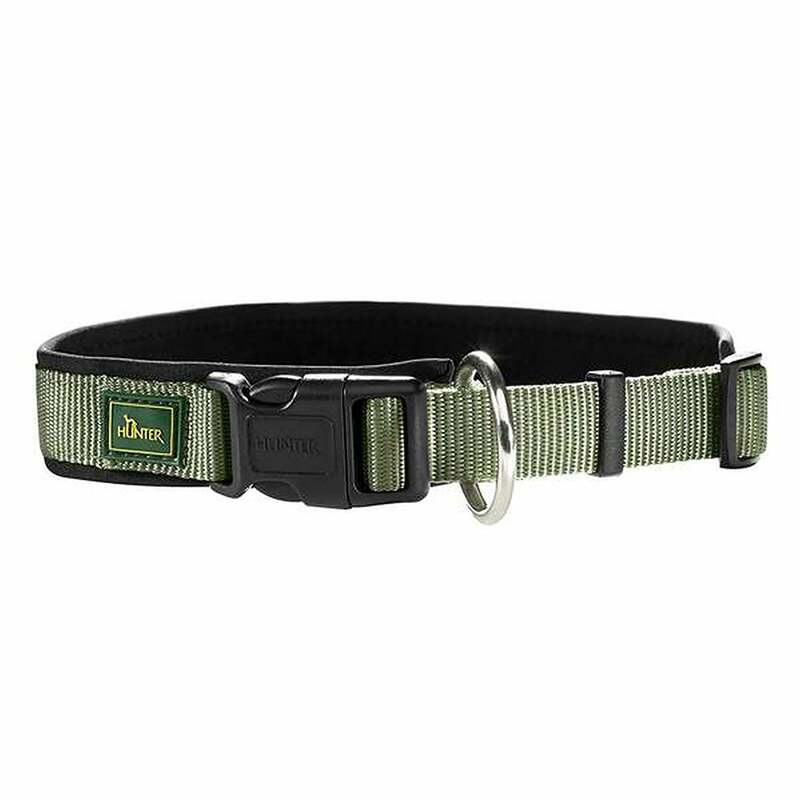 This Hunter Neoprene Collar also features an "anti-pull" ring which is great if your dog is strong on the lead.